Step 1 : Visit the Delaware Library Catalog. 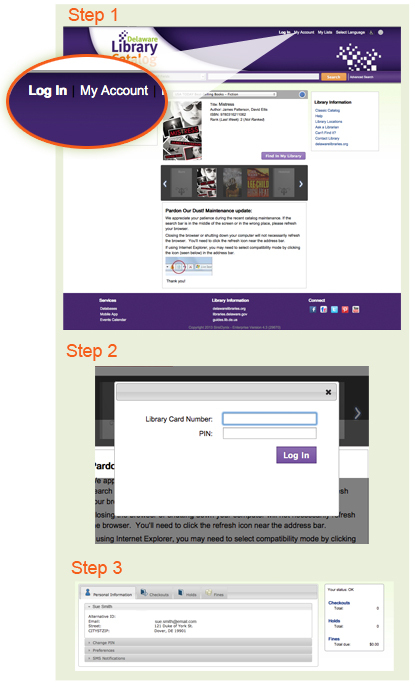 Step 2 : At the top of the page click “My Account” then you will be prompted to enter your Library Card Number and PIN. Step 3 : You will see your account information.